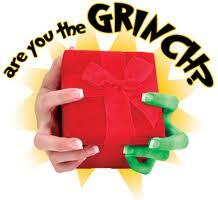 Am I a Mothers’ Day Grinch? Not exactly, but today I’d like to present a perspective that is different from that depicted on Hallmark cards: the perspective of families who need some extra compassion on this holiday. With Mothers’ Day falling this year on Sunday, May 8, now is a good time to think through how the meaning of this holiday for you may differ from the meaning it holds for some friends and family members. Families without mothers. Even as I write this title, I feel some personal sadness. My own mother died over 30 years ago, after many years of my celebrating this holiday to honor her. Not only would I send flowers and, if distance prevented our spending the day together, we’d have a long phone conversation in which I’d tell her how much she meant to me, and I’d also remind my younger brothers to be sure to connect with Mom. In those days, Mothers’ Day was about MY mother. Following her death it became a holiday with mixed emotions, as I cherish her memory while, at the same time, wishing that her life could still be a part of my life. In my early 30’s I was diagnosed with infertility. All of a sudden Mothers’ Day was “in my face” for at least a month before the actual day occurred. Every time I opened a newspaper or a magazine I would find stories of mothers. Every time I turned on the TV or radio, there would be some attention to the approaching Mothers’ Day and the opportunities families had for celebrating it. And in all the media would be reminders to make reservations at a favorite restaurant for a Mothers' Day meal. And there I was, wishing like anything I could be a mother. Not so that I could celebrate this holiday so much but, rather, to satisfy my craving for cuddling an infant in my arms. My husband and I did find ways of escaping the holiday hoop-la, but even with our efforts to plant a garden or play some golf or take a leisurely walk in a nearby state park, I still knew that others were celebrating a holiday I could not call my own. It wasn’t fun in those days. 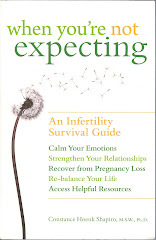 As many of you know from my recent book When You’re Not Expecting, I have counseled hundreds of individuals and couples with infertility. Each year as Mothers’ Day approached I would ask my clients to anticipate this holiday, think through its meaning for them, and try to find creative ways of deciding how to spend it. Some celebrated the holiday with their mothers or their mothers-in-law. Others used the day to connect with nature in some way, to indulge in a short trip, or to have a potluck dinner with other infertile friends who, like them, dreaded this particular holiday. So, while I won’t go so far as to think of myself as a Mothers’ Day Grinch, I do own up to my role in helping my clients to figure out how this holiday could be less painful for them. Another group for whom Mothers’ Day is poignantly painful includes those individuals and couples who have experienced a pregnancy loss or an infant death. Since, with regard to pregnancy losses, there are no rituals to memorialize the pregnancy loss (and often no mementoes to save, except perhaps a sonogram photo), the mourning parents may feel especially emotionally vulnerable on a day that honors mothers. If an infant has died, there may have been a service, sympathetic loved ones, and a gravestone in a cemetery, but in American society there often is the assumption that emotional recovery equates with putting the loss “to rest.” So loved ones may not be at all aware of the emptiness of a Mothers’ Day for parents who, even years later, are grieving the death of their infant. In my life more recently, I’ve needed to extend comfort on Mothers’ Day to my two nieces, ages 12 and 14, whose mother died unexpectedly just 16 months ago. It was especially difficult to comfort them last year, their first Mothers’ Day without her, but this year as well they remind me that Mothers’ Day will never be the same for them. And they’re right. So I talk with them and their dad (my brother) about how they can embrace Mothers’ Day in a different way than their friends’ families are doing. This year they have decided to lay flowers on her tombstone, and then to go hiking outdoors, away from the visible celebrations in restaurants. If the weather is too inclement, they have a backup plan – a movie followed by takeout food they can enjoy at home. For them, as for other families without mothers, having a plan for the family to enjoy themselves gives them an emotional cushion when faced with families in their community who are celebrating the holiday that will never be what it once was in their family. Families whose mothers are at a physical or an emotional distance. These families could include grandparents raising grandchildren, children in foster care, children whose fathers have custody of them, children who perceive their mothers as abusive and adolescents who have left home because of family conflict. Mothers’ Day is likely to touch these family members in different ways, often with considerable ambivalence and wishes for greater closeness with this parent who does not live with them. Another family where mothers may be physically separated from their children could include immigrant families, either because the children have not yet come to the United States to join their parent(s) or because, in the case of some undocumented Chinese immigrants, their infants are sent back to China to be raised by the grandparents until the immigrant parents in the US have enough economic security to provide a home for their young child being raised in China. Another immigrant group where parents and children may be separated for periods of time includes agricultural workers who travel entire geographical regions sowing or harvesting seasonal crops. Living circumstances can be very chaotic for these families, with low wages added to the uncertainty of living quarters. Childfree families: In couples who have decided not to have children because they are infertile and unable for various reasons to bring a child into their family, Mothers’ Day can be bittersweet. Many couples have ultimately made their peace with being childfree, whereas others still carry feelings of sadness and regret for the door to parenthood that has closed in their lives. Other couples have a firm commitment to remain childfree, a decision they reached after careful thought and, perhaps, after bucking their parents, in-laws and loved ones who urged them to consider the joys of having children in their lives. Indeed, many childfree couples do have children in their lives, but not as offspring; they are likely to look at Mothers’ Day as an observance they can share with friends and relatives who invite them to their holiday meal. Where do we go from here? So now I’ve elaborated on those families where Mothers’ Day evokes feelings of sadness and regret rather than the glow of happiness most people anticipate from women of childbearing age. And, as you may have gathered, my hope is to encourage readers to think about how we can be sensitive to those women who are not mothers. I think a great deal of grief could be avoided by not wishing every female in sight a “Happy Mothers’ Day!” It doesn’t pay to assume they are mothers and, if they are, chances are they have figured out how to enjoy this day. Be on the lookout for well-meaning folks who are possessed with the Mothers’ Day spirit. I am thinking particularly of religious leaders who, with the best intentions in the world, decide to honor the mothers in their congregations on Mothers’ Day, either by giving them corsages, having them stand for recognition, or by having a special reception after the service. I cannot tell you how many of my clients and friends have been blindsided by a religious service in which they felt invisible, not honored and generally discounted. If your place of worship is one with the tradition of honoring mothers on Mothers’ Day, perhaps you could encourage your religious leaders to revise their message by reminding their congregations that families come in many shapes and sizes, that not all families include living mothers, and that families who have experienced the loss of a mother, the loss of a pregnancy, the death of an infant or infertility deserve to feel emotionally safe when they come to worship, including on Mothers’ Day. So, as May 8 approaches, and as you and your family think of how, or whether, you will celebrate this day, please also take some time to be thoughtful about your interactions with others. Don’t make assumptions, offer comfort when it would be appreciated and, when in doubt, ask what you can do to make May 8 a positive experience for a friend or a loved one. Life Happens -- But what about the stress it generates? Feeling overwhelmed happens to all of us. For some of us it’s occasional, for others it seems like a way of life. The causes can range from relationship problems to chronic health concerns like infertility or cancer, with hectic lifestyles usually weighing in with their share of stress. So what to do when life is filled with just too much pressure? As I’ve counseled people over the years, the one thing I’ve learned is that troubles arise from a whole variety of complex situations. Being able to be as clear as possible about the source of stress can go a long way toward getting it under control. And, if you’re feeling overwhelmed, it’s likely that there’s more than one source of stress to contend with. Many people find it’s helpful to make a list of what is stressing them out, and then putting that list in some order, with the most stressful situations as the top, working down to the least stressful ones at the bottom. As you review your list, very likely you’re saying “No wonder I feel overwhelmed!” And just that admission can go a long way toward helping you feel less crazy and, hopefully, more ready to take the proverbial bull by the horns and work on the issues like a skillful matador. So, once you’ve named your troubles, another step is to think through the resources you have available to grapple with them. Are loved ones available to help in any way? If they’re part of your stress, are they feeling troubled enough that they’d cooperate in seeking some relief? Could you brainstorm with a good friend who has your best interests at heart? Is your religious leader someone who might help you sort through some of the challenges you’re facing? Would it be a good idea to see your family doctor, either for relief from physical symptoms or for a referral to a specialist? Could a counselor be helpful? In my recent book When You're Not Expecting, as well as in earlier blogs, I provide information on how to find an appropriate therapist, including ways of doing this without a significant outlay of money. So, now that you have your list of stressors, as well as a list of resources, what’s next? I’m a great believer that success breeds success, so unless you are feeling completely unglued by the issues at the top of your list, my first suggestion would be to tackle two items toward the bottom of your list. These should be items that are troublesome and irritating but, at the same time, capable of showing some improvement. Do one at a time, involve friends, loved ones, or others if they’re willing, and hopefully in a week or two you’ve been able to calm down some troubling issues and feel some mastery over them. Notice, I didn’t say you’d removed them, because some sources of stress aren’t removable so much as they are improvable. Now, keep an eye on these lesser troubles (or ask someone’s help in monitoring them so they stay stable), and go to the middle of your list. Choose one issue there, figure out what resources are available to call on for help, emotional strength, financial assistance or whatever, and make a plan to address this problem. • What does it mean to make a plan? The most important thing will be to identify what your goal is. (What changes do you want to see? Who needs to make these changes? What changes will you need to make? When will you know you have reached your goal?) You also need to ask yourself if your goal is realistic; if it isn’t, then you’re setting yourself up for feelings of failure and frustration. A goal isn’t necessarily a full solution to the problem if that’s not realistic; it can be a change in the problem that makes it more bearable. Just remember that every change you are able to make lightens your load emotionally and gives you more energy to give to other problems on your list. • Another important component of a plan is a timeline. Don’t ask too much of yourself or others too soon. Remember, this issue took some time to develop, and it’s going to take some time to unravel it. So try to set a realistic timeline, and be prepared to revise it to a faster or a slower pace depending on how your change efforts are working. • Pause from time to time and pat yourself (and others) on the back for the progress being made. Even little changes deserve attention, encouragement, and ongoing support. • It’s a good idea to revisit your goal and to reassess whether it remains as realistic as you initially hoped. By now you’ve had a chance to try out various strategies, engage the cooperation of others, and see how committed others are to change. If you decide your original goal needs to be redefined, fine. You’ll base your new goal on new information and behavior, so hopefully you’ll have a better chance of reaching that goal. • When you believe you have moved as far as possible toward achieving your (perhaps revised) goal, it’s time to decide what needs to happen so that there’s no (or as little as possible) backsliding away from the changes that have occurred. Maintaining these changes may take some energy, but hopefully some of this energy can be supplied by others who have cooperated in making the changes. Why didn’t we start here in the first place? For one thing, now you’ve had some practice in problem solving AND you’ve had some successes AND you have fewer problems on your list AND perhaps you already are feeling less overwhelmed. In short, you’ve reached some goals, involved some resources, begun to feel as if change is possible, and hopefully have the energy to take on a tougher problem. So what will be different as you tackle a #1 or a #2 problem on your list? Probably its difficulty. Simply by virtue of having risen to the top of your list, this is a compelling problem. It seems to you as if it interferes with your capacity to get on with your life. It probably is something that involves other people in some way. And, very possibly, it has resisted earlier efforts to bring about change. So here is where you’ll want to give yourself some “subgoals” rather than just the one big goal of erasing the problem or reducing it considerably. So, watch out for next week’s blog, when I’ll take on the challenge of problems at the top of your list. In the mean time, how about trying out this blog’s strategies on a stressor or two at the bottom of your list? That way, you’ll already be polishing your problem solving skills and hopefully reducing those feelings of being overwhelmed. Sure, life happens. But you can play a role in steering clear of the worst potholes by strengthening your resilience! Tune in next week…. Craving Parenthood: A New Trend on Grey's Anatomy?